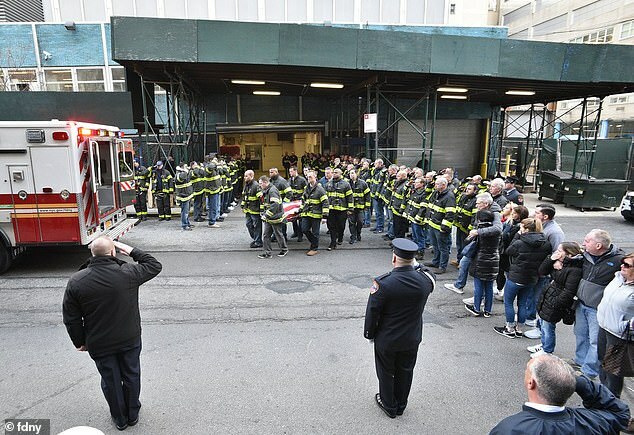 An emotional bunting ceremony was held Monday evening for a New York City firefighter who fatally fell through a bridge gap while responding to a car accident in Brooklyn. 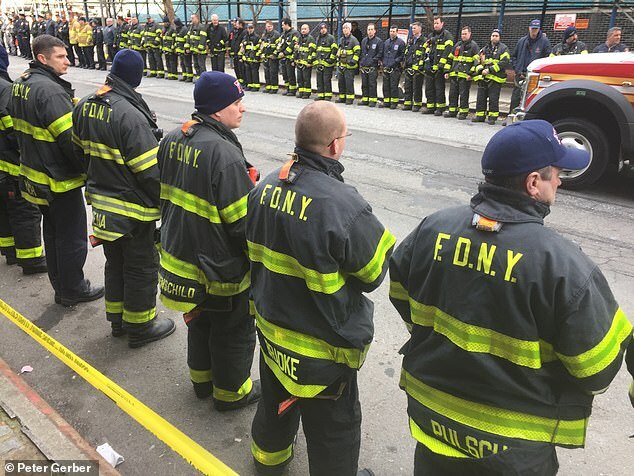 Hundreds of FDNY officers, community members and loved ones gathered in Canarsie to honor 30-year-old probationary officer Steven H Pollard. 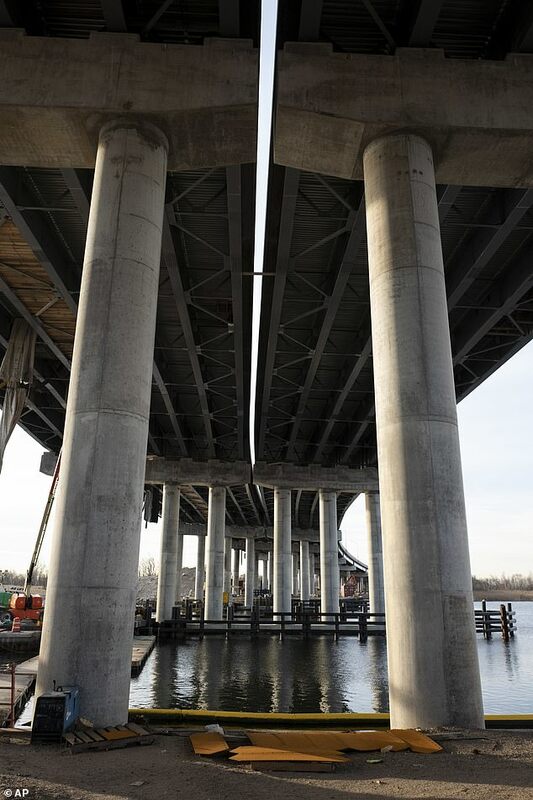 Pollard had been walking between the carriageways of the Mill Basin Bridge on Sunday when he tragically tumbled 52 feet through a a 3 foot-wide gap, which is seen in newly-released photos from the scene. 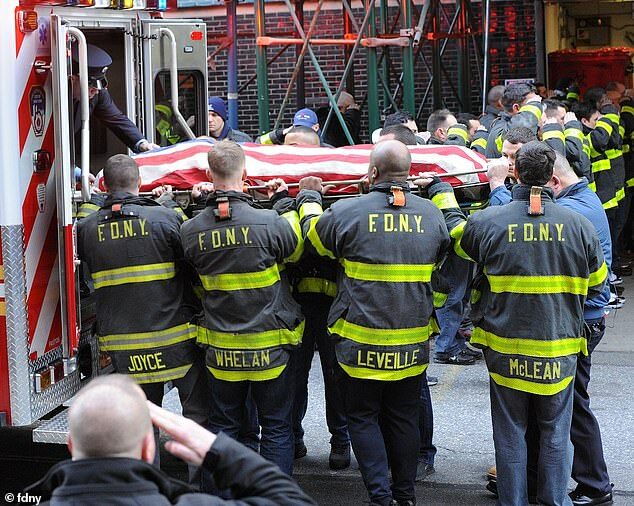 FDNY Commissioner Daniel Nigro called Pollard’s death a ‘terrible loss for the department’. NYPD Police Commissioner James O’Neill tweeted early Monday that the entire department sends its condolences to Pollard’s family, friends and colleagues. 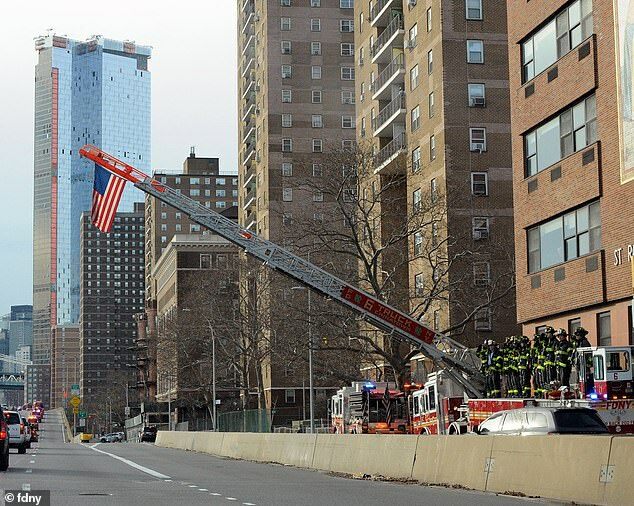 ‘#NYC will never forget your sacrifice,’ the tweet read. 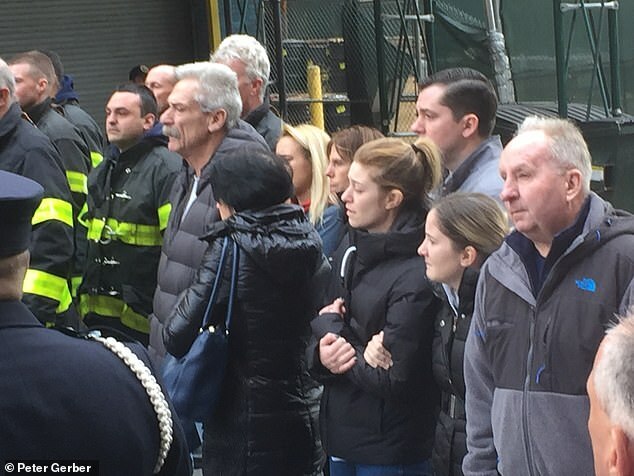 In another statement posted on the department’s Facebook page Monday morning FDNY Commissioner Daniel A. Nigro and Mayor Bill de Blasio said: ‘It’s an incredibly sad night for the Pollard family, for the Fire Department family, and for our city. 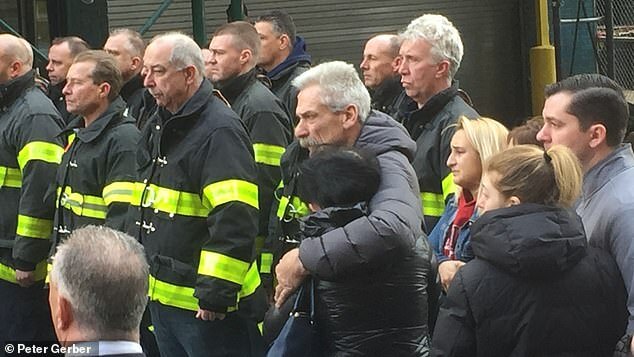 ‘This is a family who has done so much for New York City and now they’re going through this loss and this pain. It’s a very, very tough situation,’ de Blasio said. 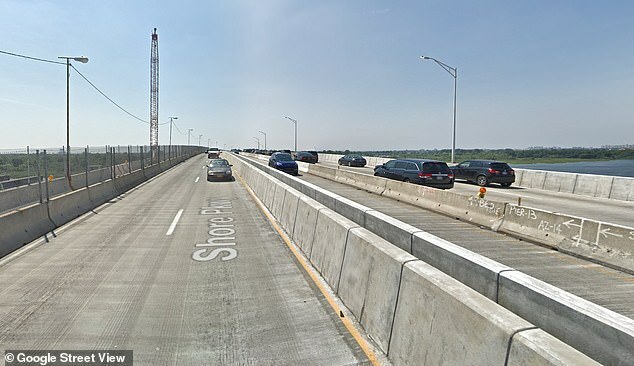 Nigro said Ladder Company 170 in Brooklyn was called to the two-car accident with injuries on the Belt Parkway, just east of Flatbush, on Sunday at 10 p.m.
Pollard slipped through a gap in the road between the carriageways while responding to the crash Sunday – and it’s not clear whether he knew the gap was there when he tried to cross. 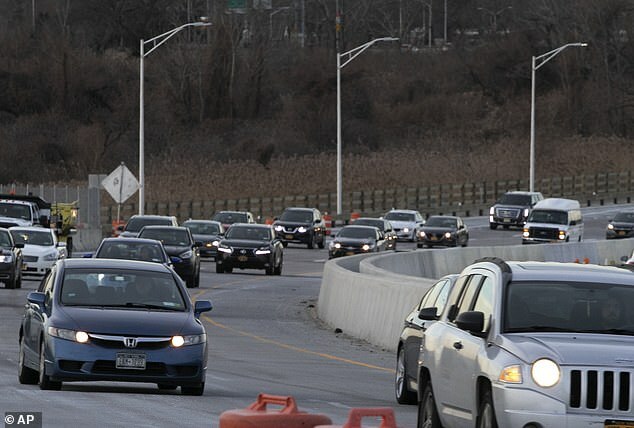 As the firefighters were going to help the victims Pollard slipped through a gap in the roadway and fell approximately 52 feet to the ground below. He was pronounced dead at a Kings County Hospital. The man who he was trying to save, Travis Simms, 30, revealed his overwhelming feeling of guilt while speaking to the New York Post Monday from his home. Simms was trapped in his wrecked Ford Explorer when he heard someone should out: “‘Oh my god, oh my God. 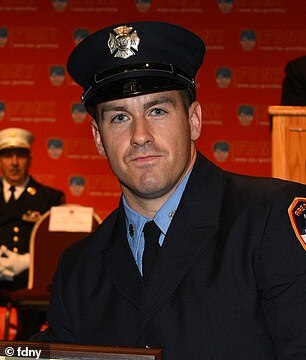 Firefighter fell, he fell through, he fell through,'” he said. ‘Pollard, he’s my hero. I send my prayers, my condolences to his family. I could only imagine what they’re going through. Simms, who came out of the crash with stitches and a broken rib, said he plans to attend his hero’s funeral. The deadly incident is currently under investigation.